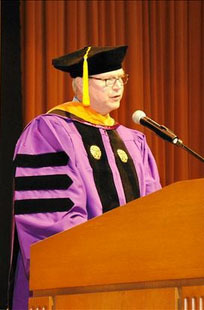 Northwestern University’s McCormick School of Engineering celebrated the graduation of hundreds of accomplished master’s and PhD students on June 19 and 20 as part of the University’s 157th Commencement. Three ceremonies in the Ryan Family Auditorium in the Technological Institute recognized 594 graduating master’s students and 176 PhDs. McCormick Dean Julio M. Ottino kicked off the ceremonies by praising graduates for their hard work and determination and by thanking friends and family who shared in the many sacrifices, challenges, and successes of graduate study. He told the graduates that they now have the skills needed to succeed in the world. 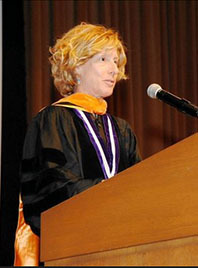 L. Catherine Brinson, the Jerome B. Cohen Professor of Engineering at Northwestern University, addressed graduates at the PhD Hooding Ceremony. She talked about the “yin and yang of whole-brain engineering,” and the importance of balancing seemingly opposing concepts: passion and discipline, humility and advocacy, and inclusiveness and distinctiveness. 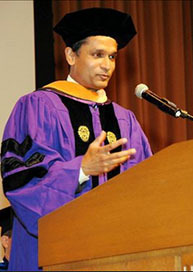 The following day, graduates of McCormick’s professional master’s programs gathered for an address delivered by Shahid Ahmed (MEM ’01), managing director of Accenture. He talked about the importance of human relationships and physical connection and the power of getting out of the office.